On behalf of admin of JML Law, A Professional Law Corporation posted in Wage Fraud on Friday, Jan 26 2018. When you accept a job, it’s more than reasonable to expect to be paid correctly and in accordance with California employment laws. Most employers can generally be trusted to keep matters above board and legal but, unfortunately, there will always be some who want to save money by operating less ethically. As you’ll know if you’re employed by an unscrupulous business owner, this is normally at the cost of the employee. If your employer is demanding that you work off the clock, and you feel you’re not being adequately rewarded for your hard work, an experienced Riverside wage and hours issue lawyer could hold your boss accountable for their actions. What Counts as Working off the Clock? Working off the clock can apply to salaried employees as well as those on an hourly rate – don’t be fooled into thinking you’re not entitled to overtime when you receive a salary. Some Riverside workers may be exempt under California white-collar worker laws, but you should generally receive overtime if you work more than 8 hours in a day or 40 hours in a week. 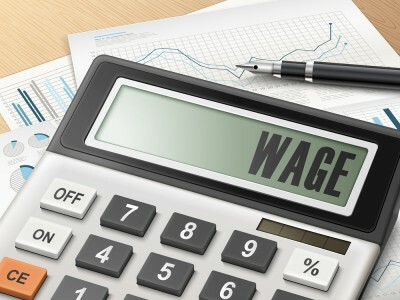 How Can a Wage and Hours Issue Lawyer Help? Our Riverside lawyers have extensive experience of dealing with wage and hours issue cases and could help you to raise a dispute. We can work with you to collect the necessary evidence of your employer breaching California employment laws and prepare a strong lawsuit on your behalf. Employment law can be a very complex area, so contact us on 818-610-8800 to arrange a free consultation where we can determine if you have a work and hours issue case.